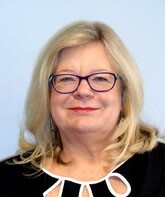 On August 31, Lisa Dry was hired as BCI’s director of strategic communications; she will lead ALBCI and work closely with an advisory group, comprised of individuals from East Penn Manufacturing, EnerSys, Exide Technologies, Gopher Resource, Johnson Controls, RSR Corporation, Teck Metals, The Doe Run Company and the International Lead Association (ILA). The communications campaign is titled “Essential Energy Everyday” and the primary communications vehicle, www.essentialenergyeveryday.com was launched this summer. It highlights four key attributes associated with lead batteries: sustainable, essential, innovative and safe. More recently, a Twitter and Facebook presence were created to support and reinforce the targeted messaging of the initiative. Follow us on our social channels to stay current on innovation that is “Powered By Lead Batteries.” To learn more about ALBCI and Lisa Dry, view the full article here. BCI is pleased to announce Lisa Dry has joined the BCI Headquarters team as Director of Strategic Communications. Lisa will be responsible for the strategic planning, execution and reporting of the Advancing Lead Batteries Communications Initiative. The initiative seeks to raise awareness of the importance of lead batteries, as well as inform and educate stakeholders on the need for continued investment in sustainable battery technologies. Lisa will manage the work of a public affairs agency and develop the initiative to enhance the perceptions of the industry. Prior to joining BCI, Lisa served as Senior Director of Communications for the American Chemistry Council. In that role, she provided strategic communications guidance and served as the media spokesperson for the Chemical Product and Technology Division, which included more than 70 different product and technology groups involved in the business of chemistry. She also spent two years as the principal of Dry Strategies where she delivered strategic planning, editorial services, media training and issue management services to a variety of biotechnology clients. Visit EssentialEnergyEveryday.com to learn more about the Advancing Lead Batteries Communications initiative and follow the social media channels to stay abreast of campaign news and information. Innovation Is Happening at Your Company. Share It with BCI. BCI wants to showcase the hundreds of innovations in the lead battery industry. From packaging to chemistry and beyond, every innovation has an impact on our industry and contributes to a positive perception that we are growing and advancing to accommodate a changing market. In order to celebrate these innovations, BCI needs your assistance. If you, or your company, have implemented a new innovation over the past year, we strongly encourage you to submit it for consideration for the 2018 Innovation Award. Even the smallest changes help push the industry forward. What does submitting an innovation mean for you? Join the conversation about the future of lead batteries and share your innovation with BCI today. Academician Professor Dr. Detchko Pavlov of the Bulgarian Academy of Sciences, one of Advanced Lead-Acid Battery Consortium’s (ALABC) most prominent and active scientific partners and supporters, has passed at the age of 87 on Friday, August 25, 2017. His life and passion were devoted to understanding and improving lead batteries, as well as helping those who study, design and produce them to be more successful. He belonged to the most well-known supporters of the ALABC work and mission. His unique contributions to the ALABC projects, which included six full projects plus two project-like extensions, with the lead-acid battery department of IEES (former CLEPS) of the Bulgarian Academy of Sciences, headed by Pavlov, provided outstanding value to these initiatives and inspired several researchers and engineers working on other projects, as well as future projects. The ongoing ALABC project Pavlov managed will be continued by his colleagues in Sofia. Many of Pavlov’s colleagues and friends express his loss: “Detchko was a great man who led his strong team in the scientific study of lead-acid batteries without the financial advantages of his contemporaries in other parts of the world,” said Dr. Boris Monahov, PhD, habil., Program Manager, Advanced Lead-Acid Battery Consortium. CHICAGO --- The Journal of Occupational and Environmental Hygiene, a peer-reviewed journal dedicated to research on workplace conditions and safety, recently published an independent study sponsored by the Battery Council International (BCI) that found that the airborne lead particle size observed in lead battery manufacturing and secondary smelter facilities significantly changes previously held assumptions about lead absorption rates. While other studies have been conducted to investigate occupational lead exposure, the new study is the first modern study to analyse actual workplace lead-in-air data collected in the U.S. It finds that the lead in air at lead battery manufacturing facilities (BMFs) and secondary smelter facilities (SSFs) has a larger particle size than was previously assumed, which could dramatically reduce the rate at which workers absorb lead into the body. As prior studies have shown, the size of the airborne lead particle plays a significant role in absorption rates because particle size determines where and how much airborne lead is deposited into the respiratory tract and stomach and then subsequently is absorbed into the body. The study posits that this means that prior modelling efforts likely over-estimate the rate at which airborne lead would be absorbed by workers’ bodies. The study is based on monitoring at nine BMFs and five SSFs across the country. The data showed the presence of predominantly larger-sized particles in the work environments evaluated, with average mass median aerodynamic diameters (MMADs) ranging from 21 to 32 µm at BMFs and from 15 to 25 µm at SSF. Data concluded that the presence of submicron range lead mass measured at these facilities was generally small, from 0.8-3.3 percent at BMFs and 0.44-6.1 percent at SSFs. Access the full report in Volume 14, Issue 8 of the Journal of Occupational and Environmental Hygiene, or read it here. On August 22, KPS Capital Partners, LP (KPS) announced its acquisition of BCI member company C&D Technologies, Inc. (C&D or the Company), a global leader in solutions and services for the utility, telecommunications, uninterruptible power supply, cable, broadband and renewable energy markets. C&D manufactures, engineers, supplies and services fully integrated reserve power systems for regulating and monitoring power flow and providing backup. The acquisition will pair KPS’ capital resource and commitment to research and development with C&D’s growth initiatives. CHICAGO --- What do computers, lead batteries, household paper products, leafy vegetables and diapers have in common? Their sustainability, according to a new report released by The Sustainability Consortium (TSC), a global organization with a mission to help make consumer products worldwide more sustainable. In July, TSC released its 2017 Impact Report, titled "The Call for Collective Action Across Supply Chains." In that report, lead batteries were one of only five consumer product categories that scored 64 and over (top score was 100). The elite club was singled out for high scores in sustainability key performance indicators (KPI's) developed by TSC and self-reported via survey. The TSC report concluded that lead batteries scored high in the category involving worker health and safety, where the industry has invested in systems and technology. It also scored high KPI's in product stewardship and recycled content, demonstrating an industry-wide commitment to closing the loop. Steve Binks, regulatory affairs director with the International Lead Association (ILA), said it's re-assuring that an organization such as TSC has recognised lead batteries for their sustainability credentials. "No other energy storage system can achieve the 99 percent collection and recycling rate or the high recycled content of a lead battery." He added that lead batteries continue to advance, meeting the world's changing energy needs. "Lead batteries are critical for many green technologies, such as hybrid and electric vehicles, and to store and optimize renewable energy. They are truly an essential, innovative and sustainable product that powers and protects our way of life." ILA members provide a critical role in this sustainability success story by ensuring that every used lead battery is collected and recycled to produce materials that can be used to make a new battery. Download TSC's 2017 Impact Report at www.sustainabilityconsortium.org. Watch this video to learn more about how lead batteries have become the most recycled consumer product in the United States. For a limited time only! 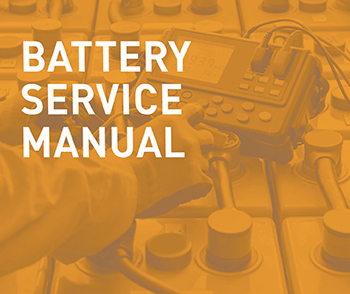 Receive 50% off the printed 13th edition Battery Service Manual*. This means BCI members can purchase the manual for only $5.00. To purchase other manuals, such as the Battery Technical Manual or the Battery Labeling Manual, visit the BCI Store. CHICAGO – Battery Council International (BCI) is seeking a talented individual for the role of Director of Strategic Communications. The Director will be responsible for the strategic planning, execution and reporting of the Advancing Lead Batteries Communications Initiative and other initiatives in support of the lead battery industry. The goal of the Advancing Lead Batteries Communications Initiative is to enhance the perceptions of the lead battery industry, so policymakers better understand how lead is used in the manufacturing of lead batteries and recognize the importance of lead batteries in our everyday lives. The Director will manage the work of a public affairs agency and work in conjunction with them to develop and execute the initiatives of the Advancing Lead Batteries Communication Initiative. There is opportunity for the Director to be based out of the Chicago or Washington D.C. offices. To learn more about this position and apply, contact Kate Winter at KWinter@smithbucklin.com. BRUSSELS - Battery Council International (BCI), EUROBAT and the International Lead Association (ILA), have announced a new voluntary target to protect worker health in the lead producing and battery manufacturing and recycling industries. Significant improvements have already been recorded in the now completed three-year voluntary programme to reduce worker blood lead levels to below 30mcg/dL (microgrammes per deciliter) and the new target of 20mcg/dL will reduce the level of lead in blood of employees still further – BCI represents battery manufacturers in North America, EUROBAT in Europe, Africa and the Middle East and ILA represents lead producers principally in Europe and North America. The lead battery manufacturers aim to achieve the 20mcg/dL target by the end of 2025 and have established an interim milestone of 25mcg/dL by the end of 2019, while lead producers are committed to achieving the target of 20 mcg/dl as soon as reasonably practicable. The new voluntary employee lead exposure reduction target of 20mcg/dL announced by EUROBAT today goes way beyond the current European binding limit value of 70mcg/dL and highlights why we requested that DG Employment make revision of the existing regulatory limit a priority. In 2019, lead battery manufacturers will review if the target of 20 µg/dl can be achieved even faster. The European lead battery manufacturing industry is committed to ensuring that its workforce is protected from workplace risks and to delivering a quality product that is essential to today’s transportation and energy storage needs,” said Rene Schroeder, Executive Director of EUROBAT.